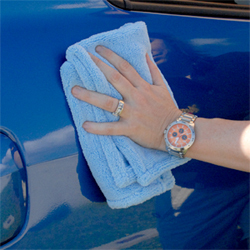 Super Soft Deluxe Microfiber Towels will become your go-to detailing towels for buffing paint to a deep gloss. Super Soft Deluxe Microfiber Towels are a luxurious blend of 75/25 microfiber with rolled edges for added protection against scratching. The 16 x 16 inch size and soft weave make the Super Soft Deluxe Microfiber Towels a smart choice for detailing all surfaces. Very soft, great rolled edges, and piuck up polish/wax very well. These worked great for a hand buffing shine after I waxed. ProsEasy to use, left a nice shine, no shedding, wash nicely and they are SUPER soft. I used the opposite side for removing the wax and flipped it over to the plush side for buffing. I can not believe these are towels. 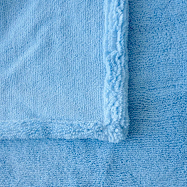 Thick, luxurious towel with rolled edge that makes them softer yet. Plus 2 sided. I need more. No bleach or Fabric softer. ProsThey work Great. And are reasonable priced.